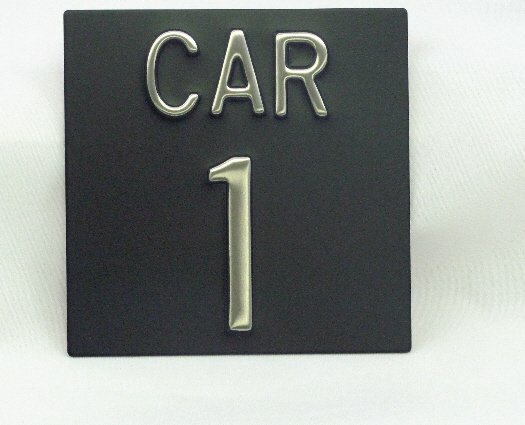 Elevator Identification Plate, 4 x 4. Black Background with Brushed Stainless Character. Adhesive Backing. Elevator Identification Plate, 4 x 4 Stainless Steel (19 Gauge) with adhesive backing. Black powder coat finish with Brushed Stainless Characters. To Order: Enter number or letter in text box. All CAR44 plates will say "CAR" at top with the number/letter entered below. Each different plate must be placed in cart separately.